Just a few nights ago we heard American Toads calling. It’s a happy sound, usually a harbinger of spring and unusual for this time of year. But we have heard them occasionally when there is a slight bump up in temperature, and they’ve been calling this month. One of our past blogs, Frogs in the City, was about frogs in urban areas and frogs that we have here in Peachtree Park. And, we’re really lucky to have them. Frogs and salamanders are amphibians, which are an indicator species of ecological health – ‘canaries in the coal mine.’ Unfortunately, they are vanishing globally at an alarming rate. There’s a new organization in Atlanta dedicated to creating and implementing long-term solutions to this crisis. It’s called The Amphibian Foundation and was started recently by Mark and Crystal Mandica. It’s an ambitious project with a primary goal of involving our local community in amphibian conservation. They have volunteers and interns, and hold workshops to help identify Atlanta’s urban species. They also created the Metro Atlanta Amphibian Monitoring Program (MAAMP) with 30 sites that are monitored monthly by citizen scientists. If you are interested, you can attend a training workshop to help with monitoring activities. 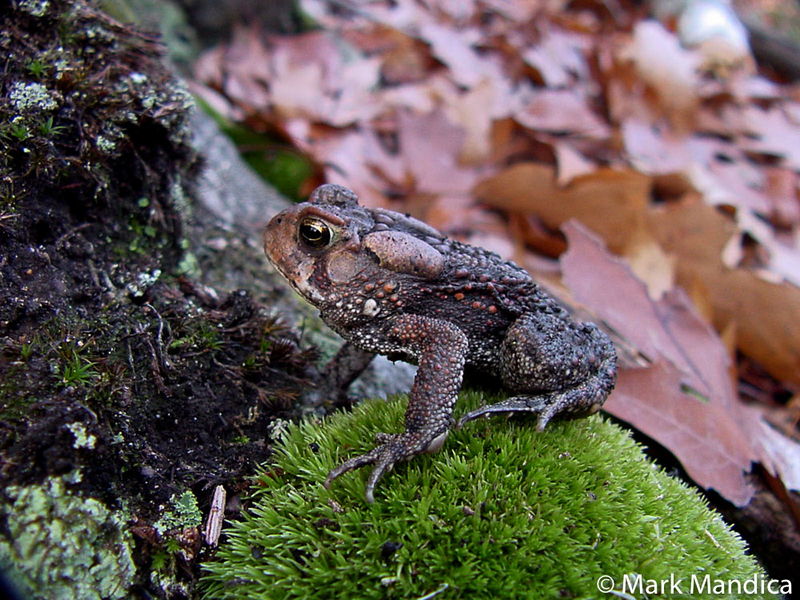 The MAAMP website is a terrific resource for amphibian identification, including the calls of frogs and toads. 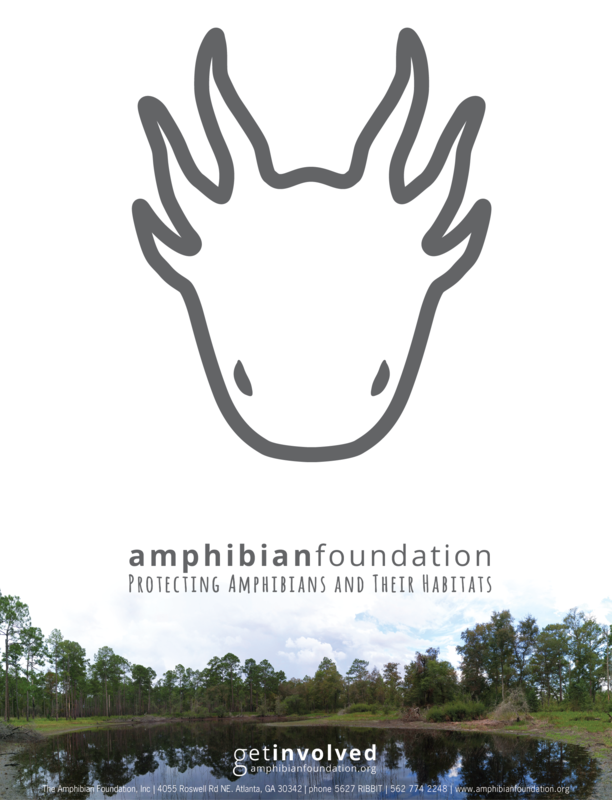 Check out The Amphibian Foundation’s website and visit them at Blue Heron Nature Preserve. 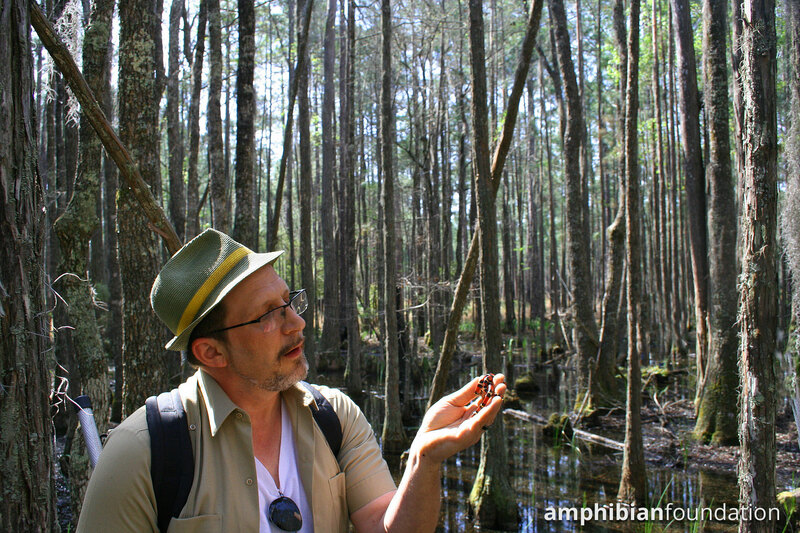 Maybe the next time you hear a frog calling or see a salamander in the leaf litter you’ll know who they are! Encyclopedia of Life: What is an Indicator Species? 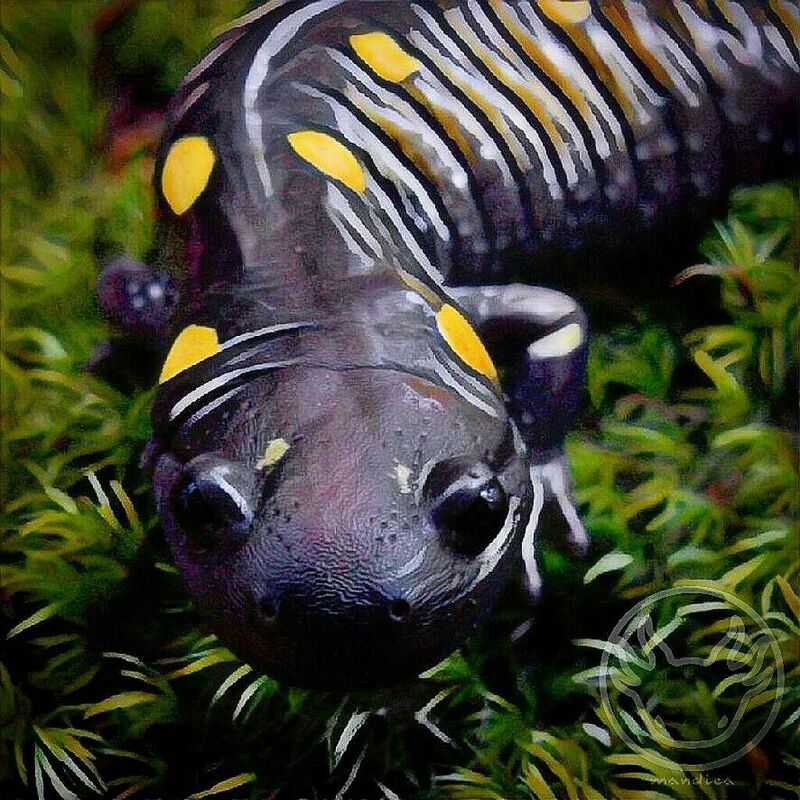 This entry was posted in Amphibian Foundation, Amphibians, Blue Heron Nature Preserve, Conservation, Frogs, MAAMP, Salamanders, Toads and tagged American Toad, Mark Mandica, Spotted Salamander on December 18, 2016 by beveritt.